With the planet warming, every effort must be made to keep cool without increasing climate change. This is a real problem: the amount of energy used for cooling buildings has doubled worldwide since 2000, from 1000 TWh to 1944 TWh (that’s almost two-thirds the entire electricity production of Europe in 2016), making it the fastest growing end-use for energy in buildings. Without efficiency gains, this could more than double again between now and 2040. It’s also putting enormous strain on electricity systems: whenever there’s a heat wave like recently, air conditioning can leach out more than 70 per cent of peak residential electrical demand and ramp up electricity bills. As climate change continues to bite, something must be done to curb this escalating situation. Part 1 of this series will look at some of the cheaper, passive (no energy needed) ways of cooling, depending on the climate. Active ways of cooling will follow in Part 2 of this series. reflecting the heat away (cool roofs, paint). Removing heat from interior spaces with natural and mechanical ventilation. Both use less energy than mechanical air conditioning, and in the appropriate climate, if designed and operated properly, can remove the hottest air to lower the average temperature. phase-change materials – like wax and water that absorb heat when a space is hot and re-emit it when the temperature falls. Affecting the perceived thermal comfort: with dehumidification and air movement (fans and natural ventilation). These alone don’t change the average air temperature but provide improved comfort to occupants without using mechanical space cooling. Shading, plus an open-building approach, works well in warm and humid locations where the temperature is tolerable and doesn’t change much from day to night. Opening windows on opposite sides of the buildings in the direction of the prevailing wind helps – if there is one. Creating large openings on the windward side puts the building under positive pressure and allows it to cool (this actually works for all climates). Wind speed and direction can be variable, particularly in urban environments. In open sites, it’s more predictable. But in towns and cities it’s best to have as many controllable openings as possible, well distributed over the building. The more these are distributed, the more likely there will be a pressure difference between them to drive the flow – so many small openings are better than one large one. an airtight building (keep those windows closed!) with controllable mechanical cooling, which can be driven by solar energy. Dehumidification with desiccant cooling. Desiccants are silica gel, alumina gel and activated alumina, or liquids like triethylene glycol. They may be supplemented by mechanical dehumidifiers driven by solar thermal power. They take air from the outside into the unit to be dried before entering the living space. The desiccants can be regenerated (dried) by solar energy. Make sure you choose a Radiant Heating and Cooling RNW adiabatic dehumidifier. Ceiling and whole-building fans can provide up to 5oC effective temperature drop at one tenth the electrical energy consumption of mechanical air-conditioning systems. For a new house, really go for passive house with careful attention to vapour control. This helps occupants feel cooler whatever the outside weather conditions by thermally isolating the building and installing mechanical ventilation. It’s being proven in the Australia Icebox Challenge running in February and March this year. For hot, dry climates there’s a lot more tricks for cooling – both passive and active. Having a closed building works well where there’s a large variation in temperature from day to night. 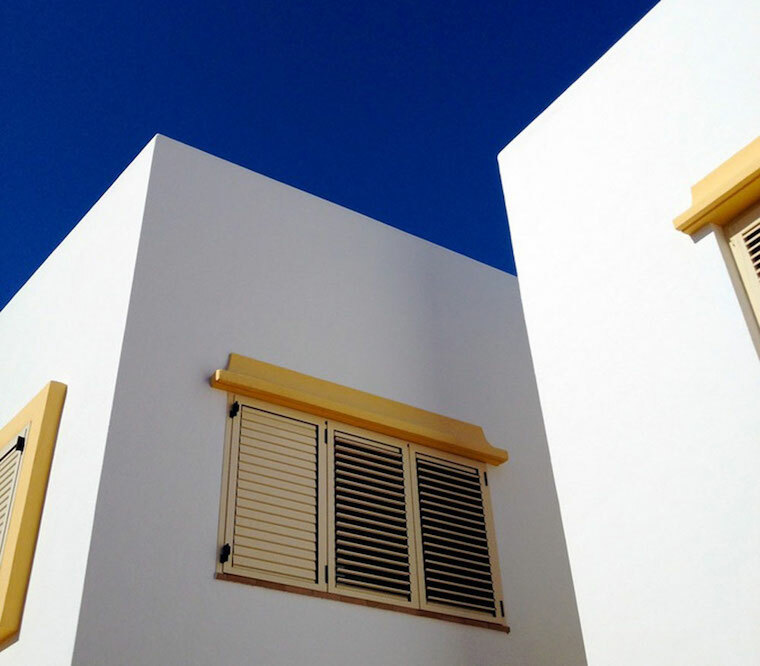 If it’s thermally massive (dense materials for walls and floors), ventilate it at night, then close it up in the morning (shutters and windows) to block out the hot daytime air. Occupants are then cooled by radiant exchange with the walls and floor. Pergolas, a covered patio, and plants can all provide cooling and shade as well as a pleasant environment – plus free fruit! If you don’t let the heat inside in the first place, then you don’t have to get rid of it. 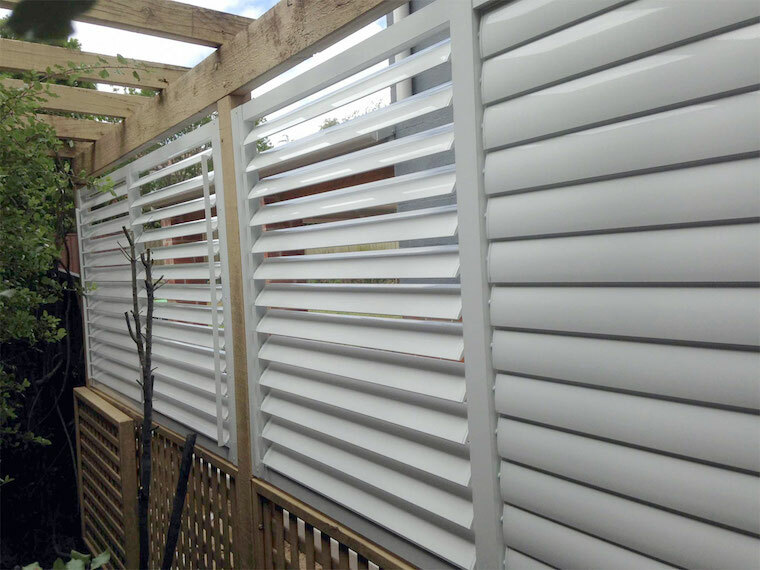 External shading in the form of pergolas, awnings, blinds and shutters can be visually attractive options that can help save energy and money. 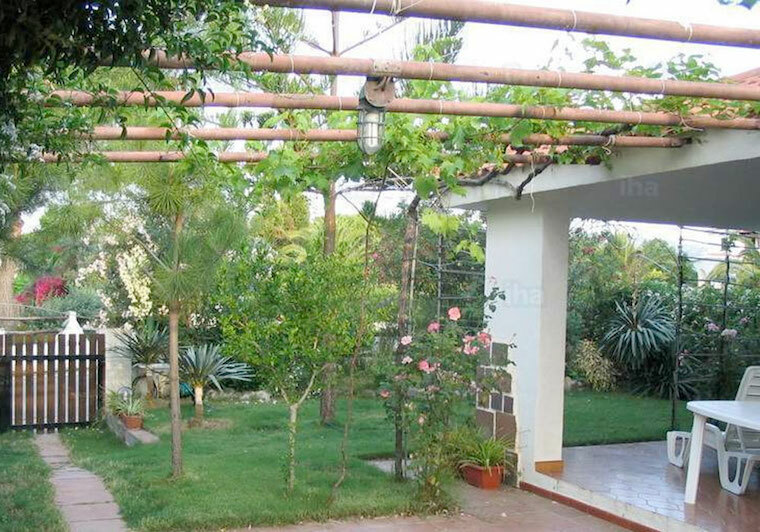 Covering pergolas with deciduous vegetation (allowing winter solar access) such as creepers or grapevines permits evaporation from the leaf surfaces to reduce the temperature. Horizontal overhangs or vertical fins prevent overheating while preserving natural daylighting. For east and west walls and windows in summer: vertical shading and/or deciduous trees and shrubs. For south-facing windows: horizontal shading. Shutters, louvres or blinds, closed in the day. Highly textured walls leave a portion of their surface in shadows cast by the protruding areas, so absorb less heat. Green roofs, earthenware pots filled with water laid out on the roof, and highly-reflective surfaces (painted with titanium oxide white paint/whitewash, for example) are all widely-practiced cooling techniques. All prevent heat from penetrating the roof, the first two mostly by absorbing some of it, the latter by reflecting it. Flat roof coverings insulate in the day but automatically withdraw at night exposing the roof to the night sky, allowing heat to leave by radiation and convection. 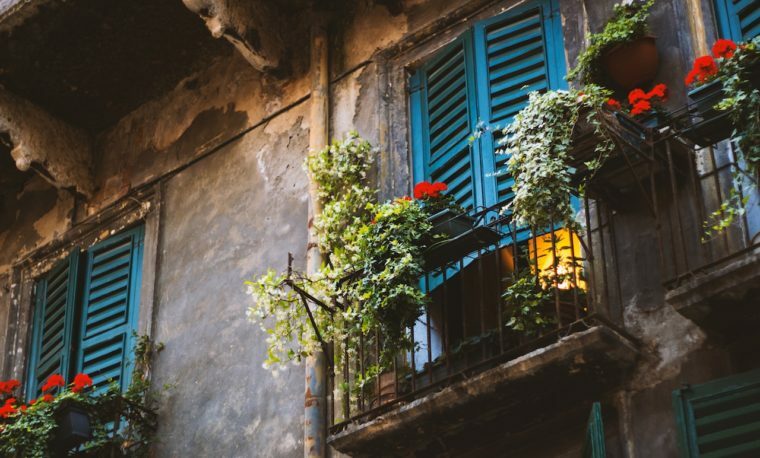 Mediterranean countries almost exclusively have shutters on windows which are closed during the day in hot periods, a habit which should be widely copied. Blinds and shutters don’t just help in summer, but winter too, when they help to insulate windows to reduce the loss of heat, saving energy and money. adjustable louvres can permit light but not heat to travel through. 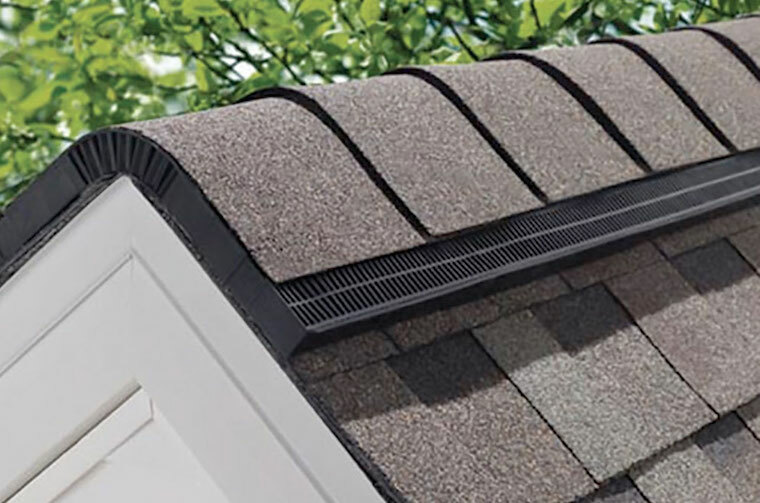 Ridge vents or vented skylights are openings at the highest point in the roof that provide a good outlet for both buoyancy and wind-induced ventilation. Keep them free of obstructions to allow air to flow freely. Clerestories or vented skylights work almost as well. Buoyancy results from a difference in air density, which depends on temperature and humidity (cool air is heavier than warm air at the same humidity, and dry air is heavier than humid air at the same temperature). This effect can be used to promote ventilation. To create natural ventilation you can use temperature-induced, stack ventilation, or humidity induced ventilation using a cooling tower (explained on this government-sponsored page along with a lot of other cool stuff). The two can be combined. The “stack effect’ lets warmer air rise to leave at the top through open windows or vents, drawing in cooler air through any openings at the bottom. These low-level air intakes are sited to avoid unwanted draughts. If you fit them with built-in thermostats to control the flaps these can regulate the air input according to the relative temperature outside and inside. In buildings with attics, ventilating the attic space greatly reduces heat transfer to conditioned rooms below and lets the stack effect work. Ventilated attics are about 17°C cooler than unventilated attics. Of course, it’s not always possible for a building to be completely naturally ventilated. The most cost-effective top-up here is to use fans. A phase-change material evaporates, melts or solidifies at a certain temperature – think water, wax or salt. Heat is absorbed when the material changes from solid to liquid, or liquid to gas (like your body makes and evaporates sweat to cool you), and it’s released when it solidifies. This has been used in traditional cooling, like using pools and fountains to cool incoming air. You can certainly use this strategy, but nowadays many products are also available that contain PCMs. A university campus in Albury was one of the first in the world to use phase change materials in their concrete flooring. Plasterboard containing PCMs helped it score six green stars and “world leader” status from the Green Building Council of Australia. This plasterboard is integrated with capsules containing wax; if the room temperature rises above its melting point (around 21°C to 26°C), the wax melts, absorbing the surplus room heat. It needs to be cooled at night with ventilation to resolidify. DuPont, Knaupf and Energain, BioPCM and BASF all make tiles, paints and boards containing wax or paraffin-based PCM-containing products, and GlassX’s Crystal is a quadruple-glazed window sandwich with a translucent salt-hydrate PCM. Not cheap though. PCMs are also used in really efficient air conditioners. More about this in Part 2. Internal blinds and shutters can also help keep your home cooler – this is especially true of materials that have a reflective finish facing the window. Another passive cooling technique is reducing internal sources of heat. Technology can produce heat, so make sure you’re not running items which do so unnecessarily. In particular, make sure you have LED lighting – which does not produce heat and is more efficient anyway. Situate fridges and freezes in non-air-conditioned areas. Turn off computers and other gadgets, especially those with fans, when they are not being used.